This is a studio portrait of Orville F. Newton. His parents were Warren and Eva Newton, and he was born in Clay Center, Kansas. Later, the family moved to Topeka, Kansas. 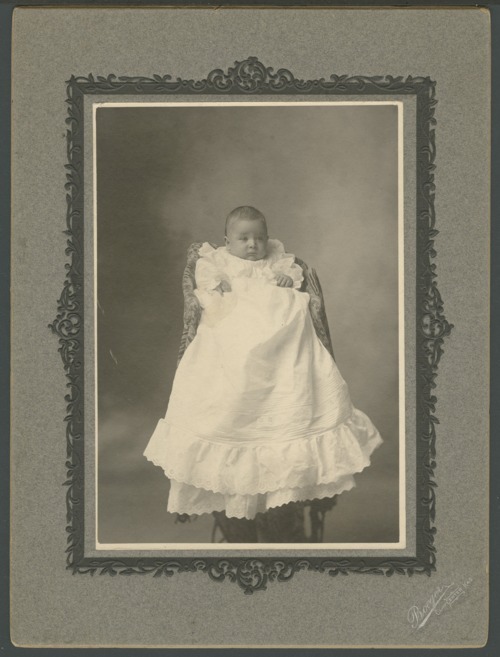 He is wearing a christening/baptismal gown.